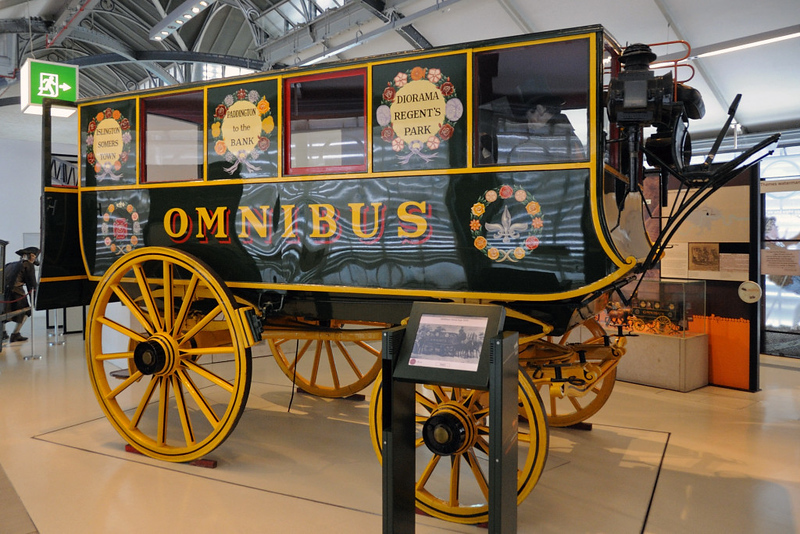 Replica of George Shillibeer's 1829 omnibus, London Transport Museum, Covent Garden, Sun 1 April 2012 1. It was pulled by three horses, and ran from Paddington to the Bank (of England) at a fare of one shilling. A novel feature was that it stopped frequently to pick up and set down passengers, a practice illegal until 1832. Thereafter omnibuses multiplied, and by 1839 London had about 600.